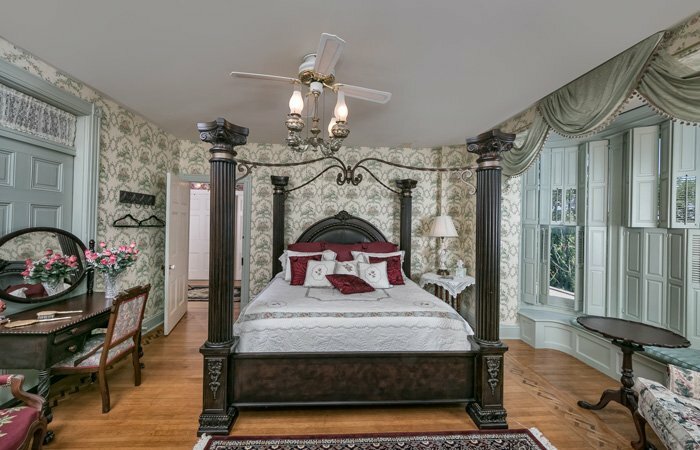 Enjoy a getaway and experience the Victorian ambiance of the Emig Master bedroom. All of our rooms have a unique and special charm and you will certainly find that here. 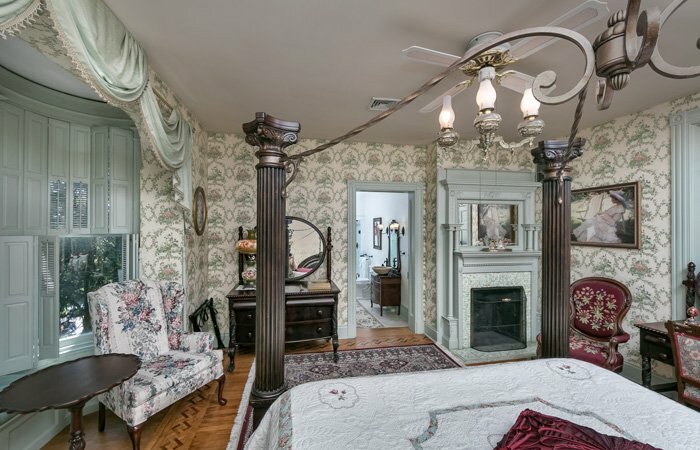 The Emig master features a huge four column, king sized bed and other antique furnishings. This room enjoys beautiful sunrise views of nearby Mount Zion, and from its large unique curved glass windows, you will see the original buildings of John Emig's Acme Wagon Company. Sitting on the eight-foot window seat with its custom shuttered window treatments, you'll be delighted to hear the trains still passing by, and although the steam engines are gone, the train whistle will still put a smile on your face and a memory of olden days in your heart. Great for a comfortable night's rest or a romantic retreat, this room features a marble surround fireplace with a unique mirrored wood trimmed mantle. Oak hardwood floors with old world crafted trim designs articulate the effort that makes this room very special. 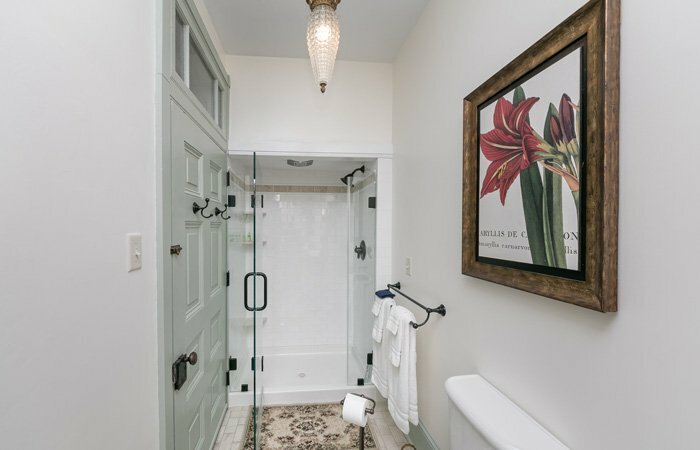 This room has a beautiful open air porch balcony which overlooks the homes gardens and Koi pond, and has a en suite bathroom. All of our rooms are cooled by central air conditioning and the unique ceiling fans. Our guests who have already visited say, "we could stay forever!!"